Threats from human-caused environmental degradation. 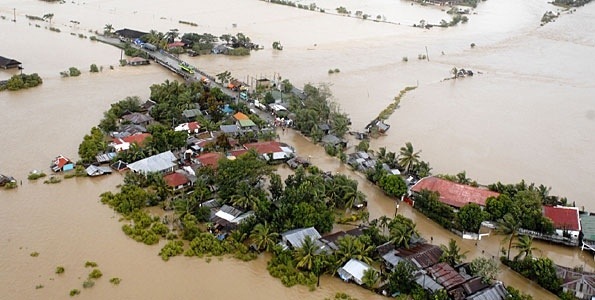 I’m very late on this, but the devastation caused in the Philippines by Typhoon Haiyan is enormous, with at least 10,000 killed and hundreds of thousands displaced, most undoubtedly into refugee camps or worse. Please give what you can, if you are able. I gave to UNICEF this evening and also sent an SMS donation to the World Food Program, but there are many ways to contribute. See here, and here, for lists of organizations, and if you have any other suggestions please leave them in comments.